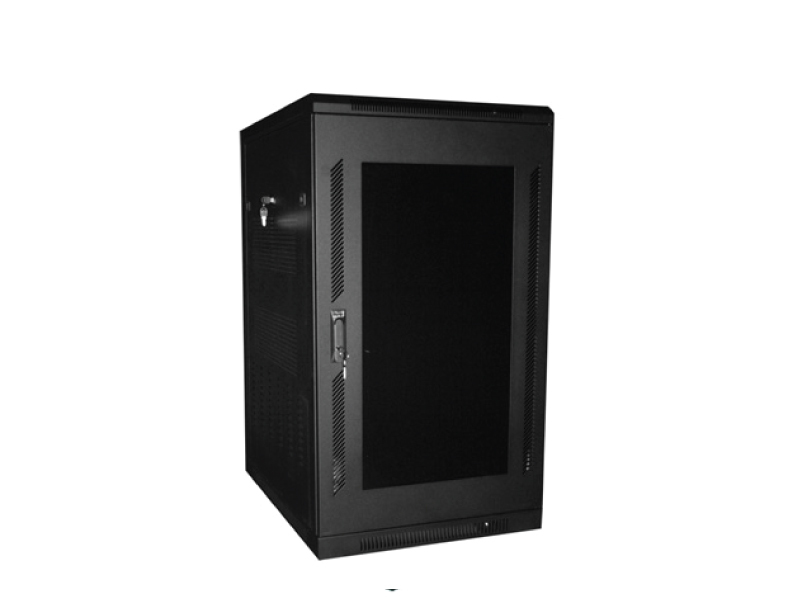 Quest 400 Series Floor Enclosures are constructed of heavy duty steel, have a reversible smoked front door, and split vented rear doors. They come complete with casters, floor levelers as well as two 80 CFM boxer fans for ventilation and air flow. 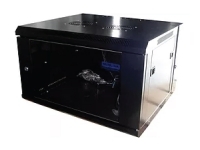 These cabinets are available in five heights, come in a black powdercoat microfinish and are available assembled or unassembled in knockdown boxes. 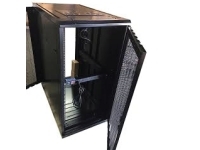 Quest 700 Series Floor Enclosures are also with constructed of heavy duty steel, have a reversible vented steel mesh door, and split vented rear doors. They come complete with casters, floor levelers as well as two 80 CFM boxer fans for ventilation and air flow. 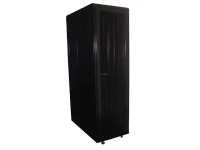 These cabinets are available in three heights, come in a black powdercoat microfinish and are available assembled or unassembled in knockdown boxes.